Our put-in point on this guided paddle tour will be the Susquehanna at John Wright in Wrightsville. 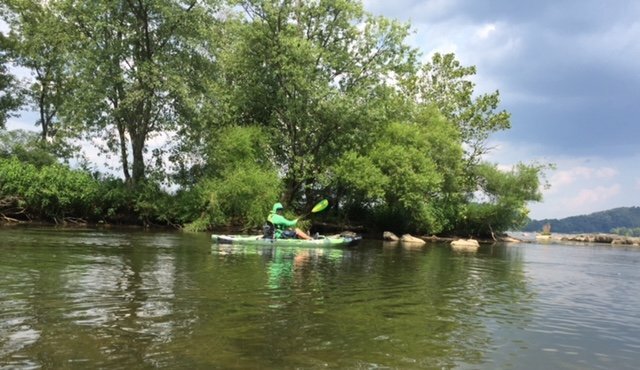 We'll follow the path of the Susquehanna Canal for a bit, and then experience several different kinds of paddling waters as we pick our way through the rocks of the old canal dam and the Native American fish traps. We'll skirt some river islands and head to the tranquil waters of the Conejohela Flats. This area is home to many species of migratory birds. Then we'll cross the river and end up at Shank's Mare. Our experienced guides will share highlights of these paddling points, and for a break you'll enjoy a packed picnic lunch at the Flats. Rental kayaks are available. If you need to rent a kayak, please call 717-252-1616 to make arrangements. Participants should wear clothing suitable for watersports and sun protection, hat with a brim, water shoes (no flip flops), sunscreen, water bottle and any snacks you may desire. A picnic lunch is provided. Shank's Mare guides have years of experience leading paddlesports adventures. They will also share highlights on the Susquehanna so you really have a "sense of place" during your tour. Includes shuttle, guide and lunch.